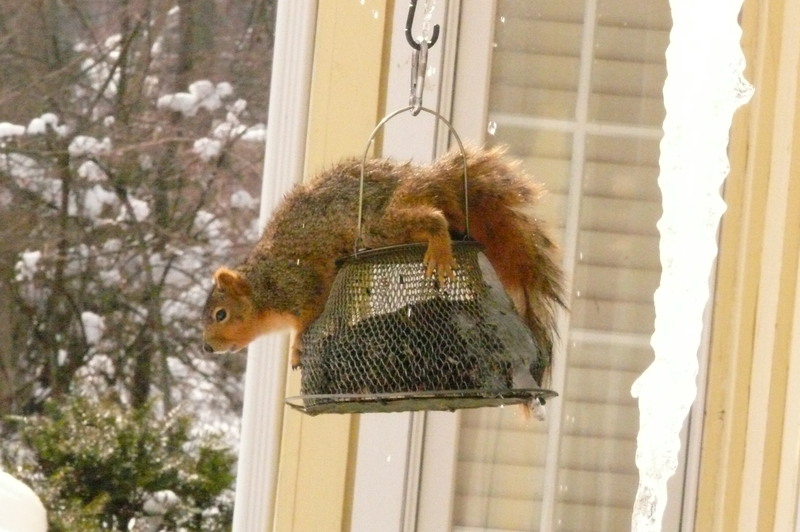 An area fox squirrel has been arrested in connection with recent bird-feeder burglaries from yards of Bass Lake-area residents. Squirrel, 4, faces multiple charges of larceny from an aves food-delivery device, as well as trespassing and scampering without a license. Chiou Yueh, chief of Bass Lake Authority Police, said the situation is now in the hands of local prosecutors. Doris Titmouse, younger sister of one alleged victim, Esther Titmouse, greeted the news with a vague level of pre-satisfaction. Attorney for the squirrel, Dr. Rocky Atticus, PhD, professor of zoology and small-rodent psychology/legal science at Bass Lake University, refused comment, then changed his mind and said something after all. “I ask that these charges be dismissed, given the evolutionary makeup of my client,” Atticus said.